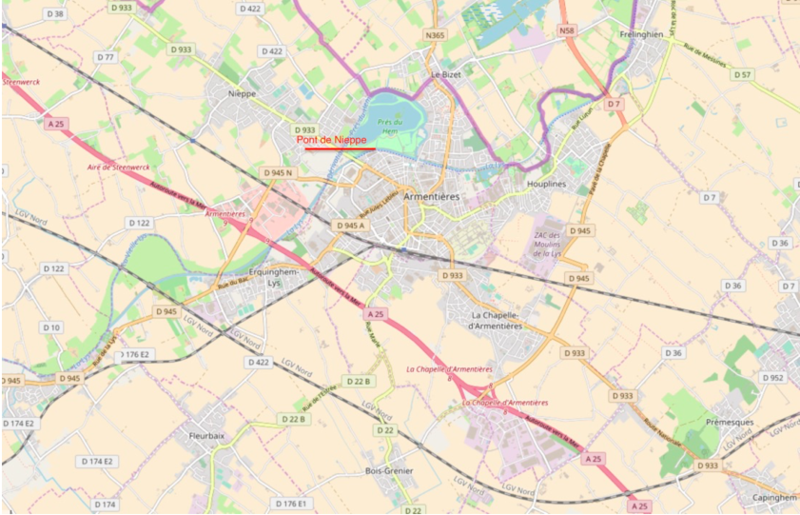 “Next day I handed over to the 102nd Field Ambulance (34th Division), and got back to L’Estrade in the early afternoon after some hustle. 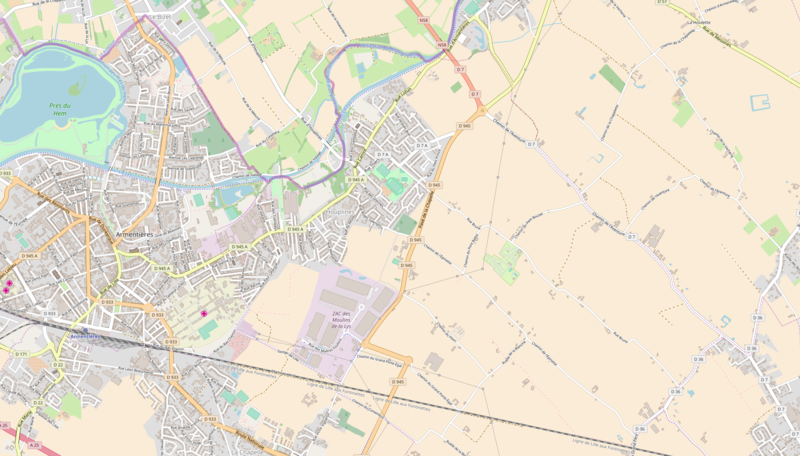 Merville had at this time suffered a great deal of damage and had been almost totally destroyed, its inhabitants had largely gone. Back in November 1915 it was the area HQ for the British Army and was where Churchill had been asked to attend the aborted meeting in the incident that inadvertently saved his life. 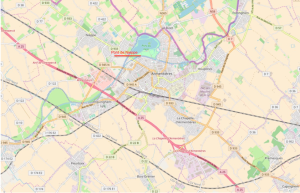 “I took over the Dressing Station at Erquinghem from the 131st Field Ambulance camp on the morning of the 29th, having got sudden orders at 8.35 a.m. to do so. It was some rush. I had a very hurried apology of a breakfast at 8.30, and nothing more till I had a ‘high’ tea at 4.30 p.m.
“High Tea” was probably a hot meal and not a plate of scones and sandwiches with the crusts removed. “The Dandy Ninth”, so called because their uniforms based on the Hunting Stewart tartan, set them apart from other battalions of the Royal Scots. 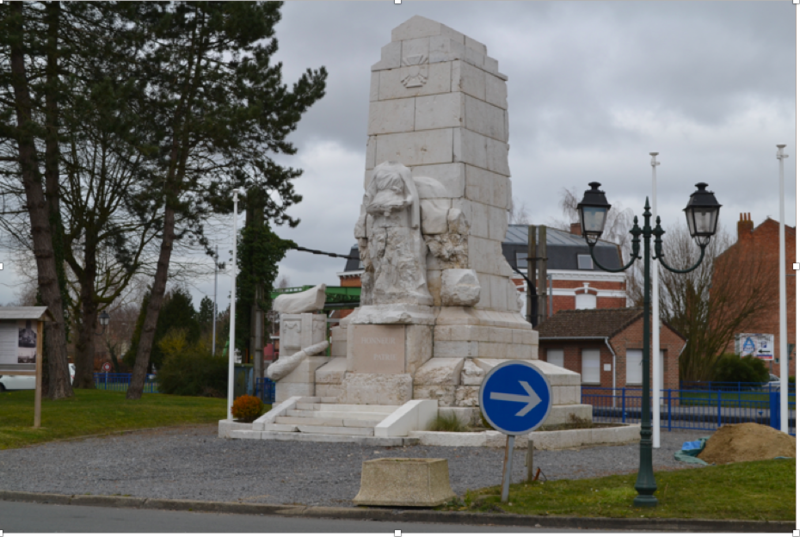 Arriving in France in February 1915 they had earned a reputation for fighting valour having been involved at High Wood on the Somme in 1916 then in 1917 at Arras and Vimy Ridge and later at Passchendaele and Cambrai. 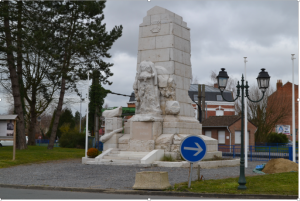 Having come north from Albert, on the Somme where the Germans initially broke through with great success, they would go on to be instrumental in the disruption and later halting of the German advance during the Spring Offensive. Once the Germans had been halted it was the tipping point of the war and ultimately led to the Armistice. 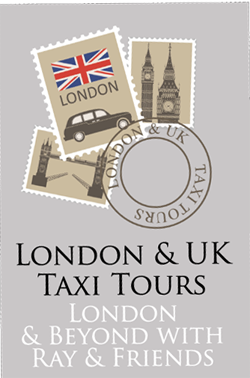 McCrae’s Battalion was one of Lord Kitchener’s New Army, Pal’s battalions, raised in 1914. Known as the Sportsman’s battalion it recruited predominately from professional sportsmen that included many footballers, drawn from the main clubs in Scotland. The whole ethos of Pal’s battalions was that men would fight alongside men they knew from private life, encouraging a stronger sense of unity resulting in men watching out for each other and becoming a more determined fighting unit. In reality what happened was in many instances whole families and friends were casualties, causing in many cases almost the entire male population of some areas to be practically annihilated. One such area was Cyprus St in London’s East End. 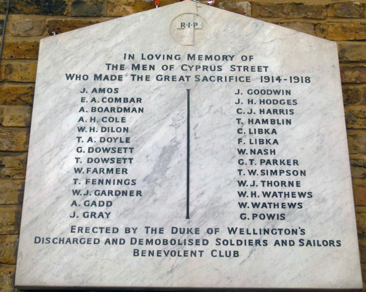 No less than 26 young men, all from the same street gave their lives for their country. Following the decimation at the Battle of the Somme in 1916 the experiment of Pal’s brigades was discontinued. You can read more about the 9th Royal Scots here. You can read more about the McCrae’s Battalion here. It didn’t take long for news to filter through about the start of “Operation Michael” or the Kaiser’s spring offensive. 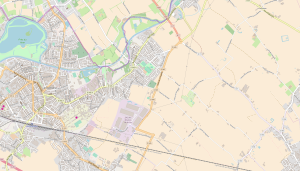 The 113th RWF being deployed quickly to the area near the Somme had left the Armentieres area short of defensive cover at a time that was to prove very challenging for the allied armies. 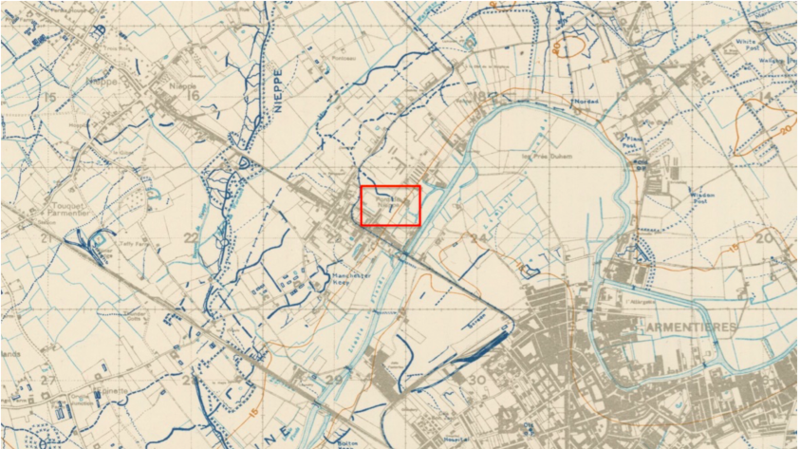 “I returned to the 130th Field Ambulance for duty on the 20th March, and took charge of our Advanced Dressing Station at Houplines, situated in the cellars of what was once a mansion house. All the houses and factories round about were wrecked, and just masses of tumbled down bricks. The garden contained lots of daffodils and violets, and I had quite a cosy bed-sittingroom in one cellar furnished with carpets, 1 easy-chair, and containing a real fire-place. After a great deal of increased activity in the area, the news of great German successes further south was a heavy blow to the moral of the men. The surrender of Russia and their withdrawal from the conflict allowed the German high command to plan a decisive attack. Since 1914 neither side had gained any significant advances and now they had to act fast. The influx of many divisions from the east along with their equipment gave a new impetus. Known as Operation Michael, the plan was to attack the British defended front to the south on the Somme. From there they would push through in a north westerly direction towards the sea cutting off the BEF, seizing the ports and allowing the flow of supplies once more from the sea. This in turn was to produce a tipping point in the war in favour of The Kaiser. The need for speed was paramount, Germany knew only too well that the Americans were pouring men and infrastructure into the war. Another 840,000 were due to join those in France since 1917 with a total of over a million. This would pose a much more difficult if not impossible scenario and would most likely be Germany’s last chance of victory. Initially much ground fell into German hands, including all the ground fought over at the Somme in 1916. However, success would prove to be limited. German front line troops were not matched by the supply routes behind them. 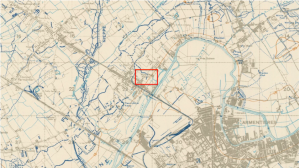 The logistics operation could not match the offensive and the front line began to lose its early momentum, practically stalling by late April. That signalled the beginning of the end for Germany and by August the Allies buoyed by the addition of up to 2 million newly arrived Americans regained the lost ground, culminating in defeat of the German Nation by November. Activity in the area seemed to be warming up somewhat. Behind the German lines a great deal of reinforcements were amassing as divisions were being released from the Eastern Front ahead of a large push destined for the next couple of days. St. Patrick’s Day Goes With A Bang! 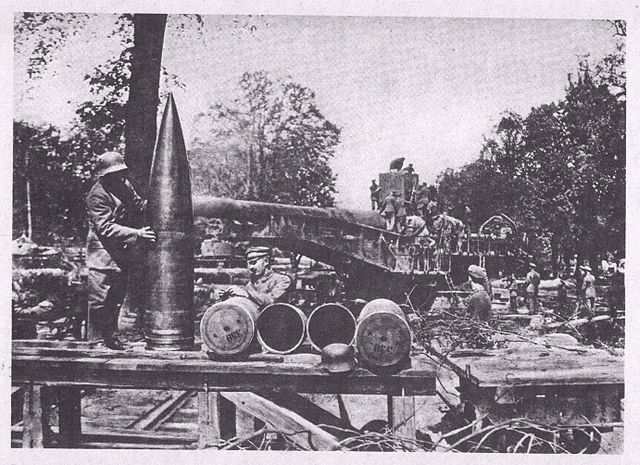 The German 38cm high velocity shell was indeed a beast of a thing. Each one weighed in at a colossal 760 kgs and had a range of between 23 and 38 kilometres. Originally intended for the large guns of a battleship, their use was realised on the Western Front. 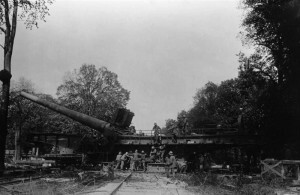 Where possible these naval guns had permanent emplacements but then adapted to be used mounted on a railway truck, giving mobility to the dreadful weapon. To send our man down to Windy Corner some 20 kms to the south west must have meant that senior medical help was in short supply down there, but Douglas was able to do his bit. 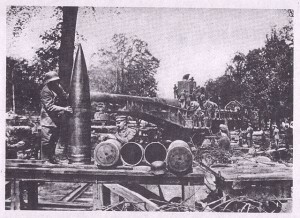 German artillery troops preparing the monster 38 cm gun clearly showing the size of a shell. The rail mounted 38 cm SK L/45 known as the Langer Max high velocity cannon. The red S.O.S lights were rockets that were sent up to direct artillery fire. Yet another close call with a shrapnel shell scattering its deadly load above their heads. Now in his third year of hell on the Western Front Douglas survives another of countless close calls as the men scramble for cover. The laughs were clearly those of nervous relief. The build-up of German offences was beginning to increase pressure on this part of the Western Front. Gradual withdrawal of German divisions from the Eastern Front, following Russia’s withdrawal meant reinforcements being drafted into the Western Front. The news that accurate British Artillery fire was taking effect buoyed moral.